Mornings are tough and for many of us, often made better after a cup (or four) of coffee. But where you make your coffee matters almost as much as what’s in the mug. 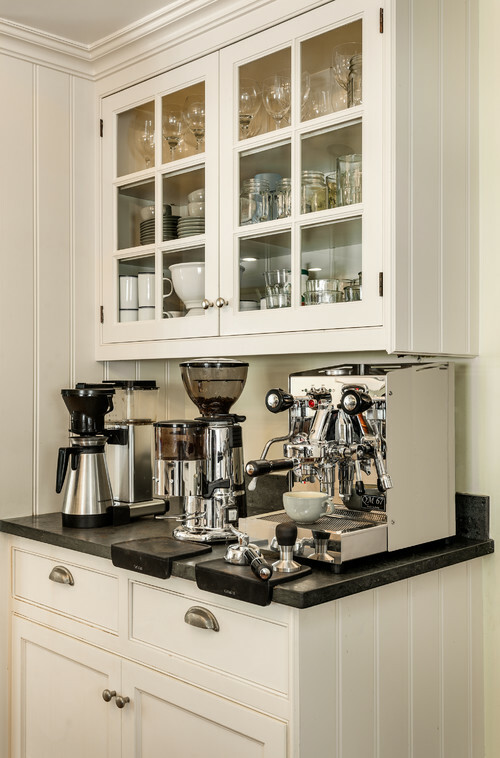 Check out these coffee stations that’ll make morning your favorite time of day. 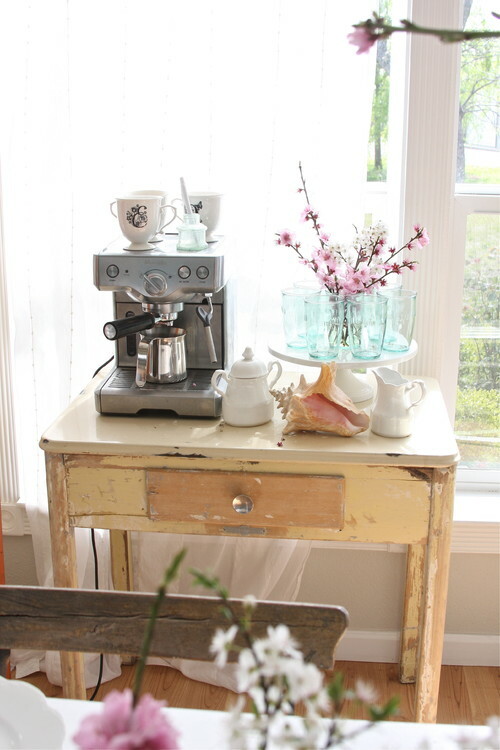 This sunny coffee station pairs shabby chic with shore vibes and uses a cake stand for extra surface space. 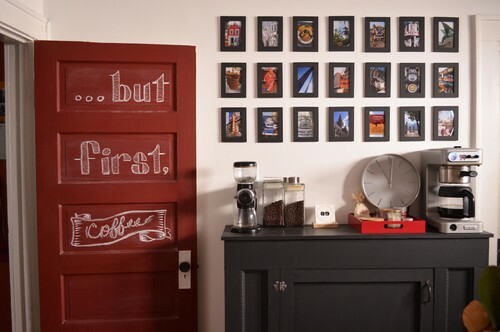 Why have a coffee station when you can have an entire coffee wall—chalkboard door and all? 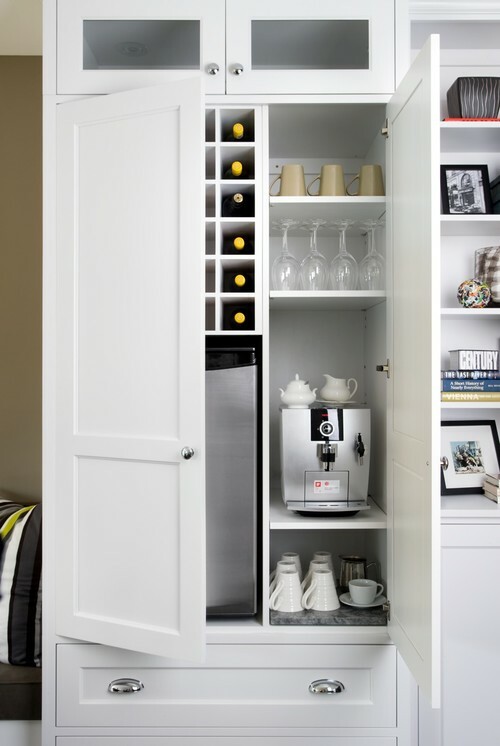 Keep everything you need for the perfect cup of joe stowed away in a drawer near your coffee maker. It’ll make mornings an easy-to-clean-up breeze. 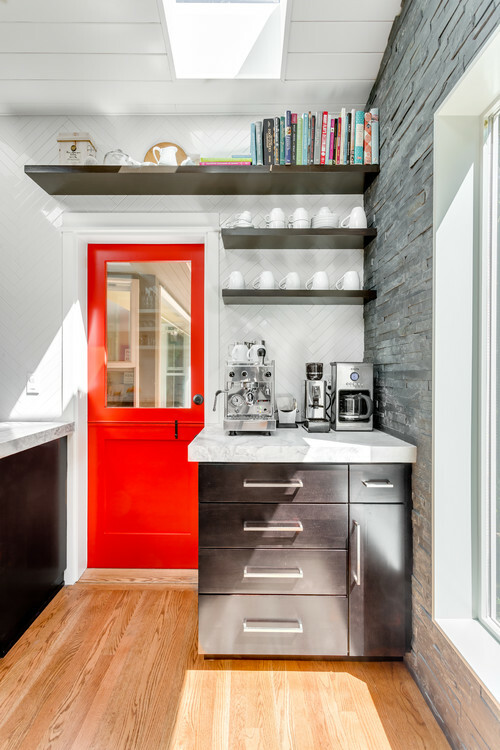 It’s no secret that we adore open shelving, especially when it comes to quirky coffee stations that are as playful as they are sleek. 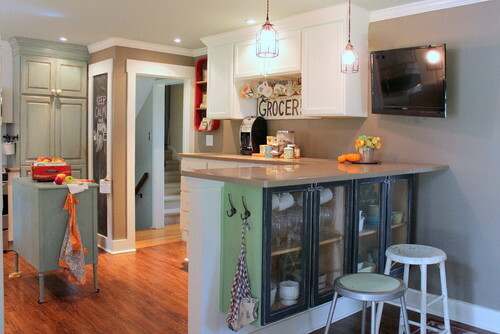 If counter space is limited, look to the walls for more storage options. 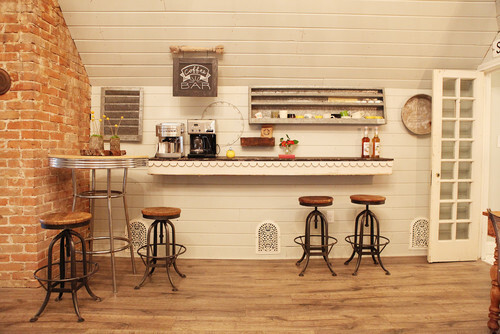 This diner-inspired coffee bar will make you feel like you’re enjoying sipping a mug at the coziest coffee shop around…but in the comforts of your own home. 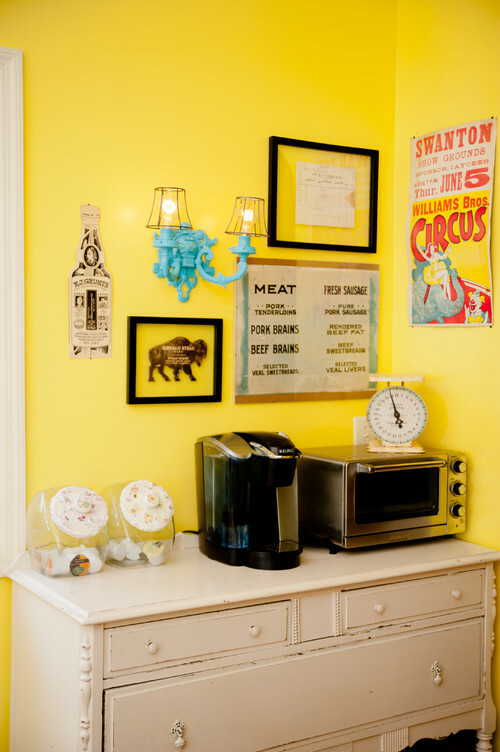 Just like a cup of coffee, this coffee station will give you a jolt of energy when you enjoy it. 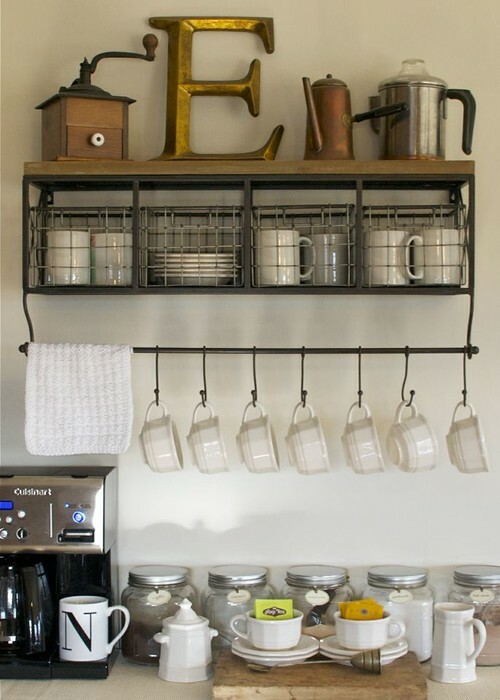 Make your mornings simple with this classic hidden coffee station that makes a delicious cup of motivation easy to make. No grey areas at this coffee spot—a small counter-turned-barista station is a perfect example of midcentury modern design. 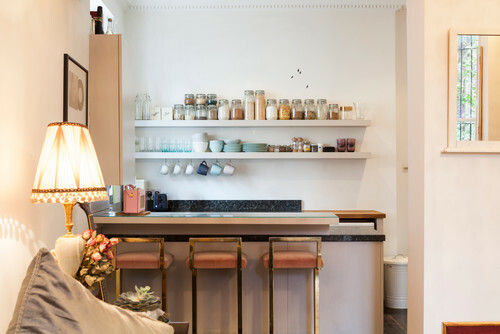 Breakfast nooks are popular on wish lists but how dreamy is this colorful coffee nook? Small but mighty in aesthetics and practicality. Get a cup of joe on the go with this coffee station that has everything you need to make your mornings more caffeinated all in one spot. Can’t decide on your favorite way to drink up a mug of morning motivation? That’s okay—you can have your mug and drink it, too. 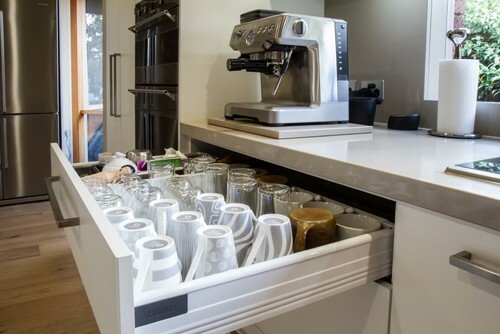 Keep all your coffee machines needed to make whatever beverage you’re craving on the counter and stow mugs away in the cabinets to save some space. 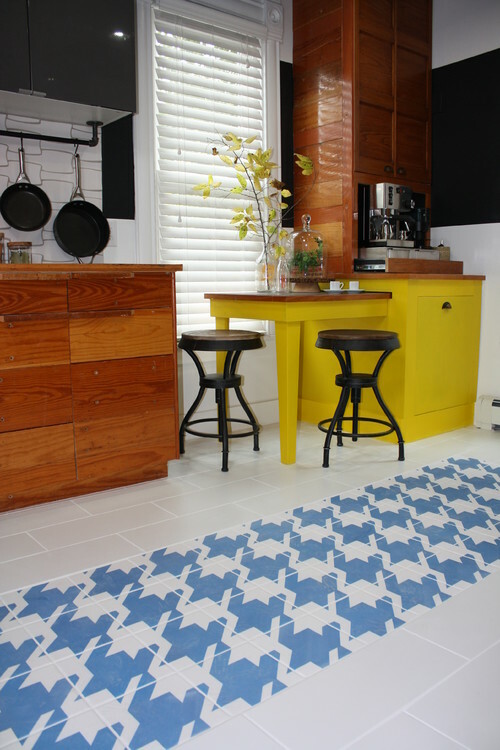 For more home ideas, visit us on Houzz!